But even if there are still some unanswered questions, it seems highly unlikely a left-field candidate will still come in. 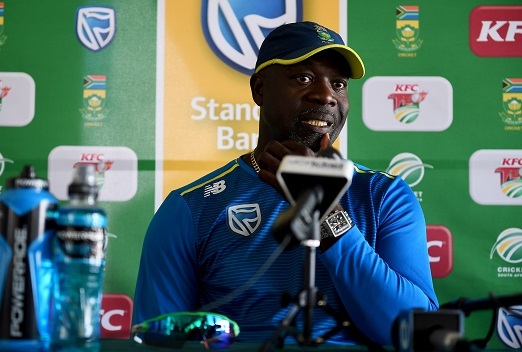 It may be as likely as an alien from Mars landing on Earth, but Proteas coach Ottis Gibson said that a player who produces exceptional performances in the three-match T20 series against Sri Lanka that starts at Newlands today could still force his way into the World Cup squad. South Africa completed their ODI preparations with a 5-0 whitewash of the Sri Lankans at the same venue at the weekend, but it seems the World Cup squad that must be announced by April 30 is still not settled. “The one-day series gave us a good look at some players and obviously the result was quite pleasing and it means we go into the World Cup with confidence and momentum. A guy like Anrich Nortje came in and did really well, while Rassie van der Dussen we’ve seen for a while now. We would have liked some more performances from others. “But we are a lot further down the road in terms of selection than we were two months ago and we just want to continue the form we’ve had in this T20 series and although T20 is always the opportunity to expose players, it’s also a chance for the guys left behind from the ODI squad to get some more performances in. “International T20 still provides an opportunity for players to impress the selectors, they can still make a wildcard pick and if someone does something unbelievable in this series then there’s the opportunity for them to be selected in the World Cup squad,” Gibson said yesterday. Fast bowler Lungi Ngidi is unlikely to play in the first T20 international on Tuesday evening due to a niggle, which is not expected to be any sort of threat to his World Cup participation. The rest of the squad for the first game is the same as for the last two ODIs against Sri Lanka. “Some guys will be getting a break after this first game. Lungi has a slight niggle but I don’t think it is anything serious. KG Rabada, Faf du Plessis and Quinton de Kock will all leave the squad after the first game too. “We will try and give Lutho Sipamla another run, he certainly looks a very exciting prospect, and young Sinethemba Qeshile could debut as well,” Gibson revealed.